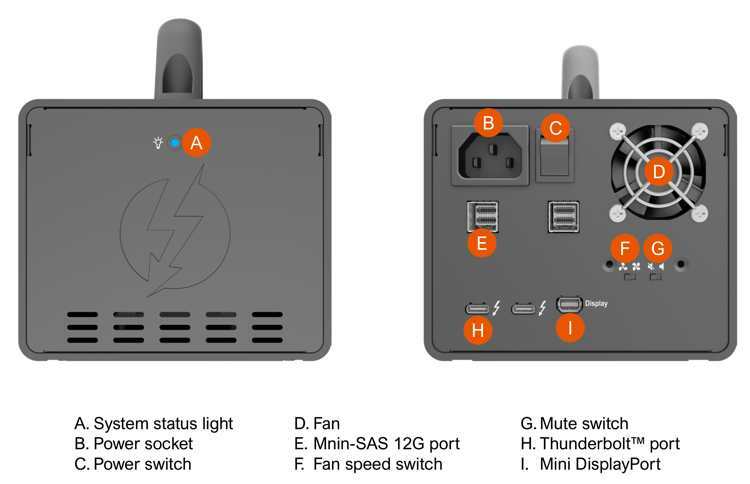 Stardom, a brand from Raidon Technology, Inc., announces AR0080-TB3, SAS to Thunderbolt3 docking, for user to connect to SAS JBOD enclosure and make it become a Thunderbolt 3 (Type-C) storage with RAID. AR0080-TB3 comes with dual Thunderbolt 3 (Type C) ports and dual miniSAS (SFF8644) ports, each miniSAS port can supports four SAS/SATA drives. 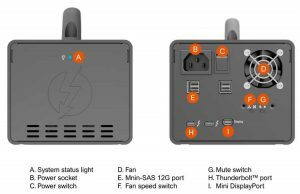 Connect the SAS JBOD enclosure to the miniSAS port and user can connect it to the PC/Mac with Thunderbolt 3 ports. Enjoy the four times faster data transfer rate than USB3.1 Gen2, and connect up to six Thunderbolt devices with one cable by daisy chain. Embedded one hardware RAID chip with 900MHz clock rate, AR0080-TB3 can make SAS JBOD enclosure become the RAID storage with RAID-0, 1, 5, 6, 10, 50 and 60. With user friendly GUI, user can set the RAID level depending on the application. And with the SMTP support for email notification, user can get the email notification due to storage failure or hardware failure. With internal power supply and the company's standard aluminum handle for user to carry it with ease. The company also has other Thunderbolt 3 products.